To a Italian Venetian open armchair of the Louis XV period. 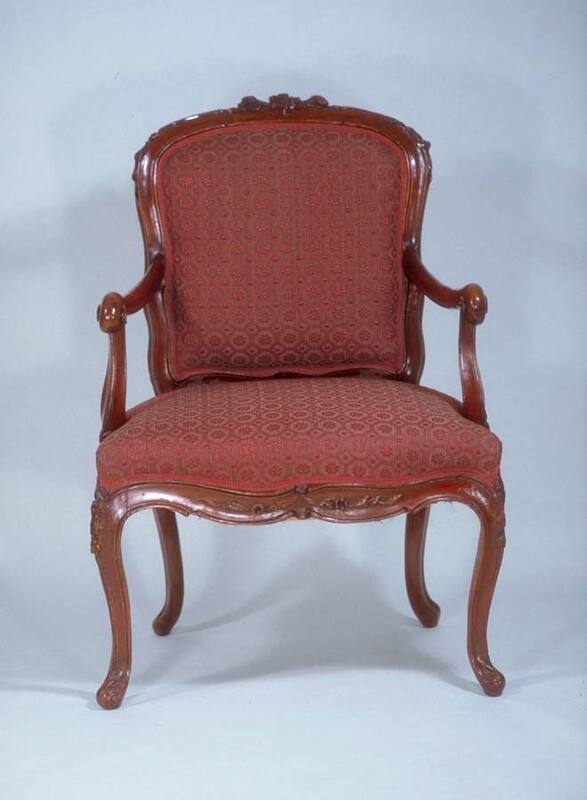 This chair was made about 1760-1780 and originally was painted red. Traces of the coloring still show on the caved wood surfaces. The chair is a good example of Venetian furniture and is presently covered in woven red horsehair fabric made in France.